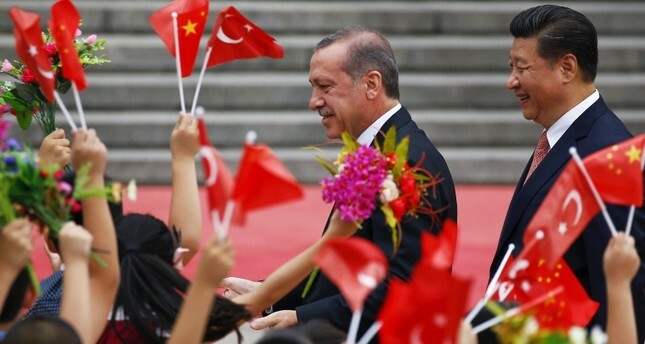 China offered support to Turkey on Friday as Ankara reeled from a currency crisis and U.S. sanctions, saying it believed the country could overcome its "temporary" economic difficulties, in Beijing's first comment on the issue. In a brief statement, China's Foreign Ministry said that it had noted the "new direction" of the Turkish economy and its foreign relations. "Turkey is an important emerging market country, and it remaining stable and developing benefits regional peace and stability," the ministry added. "China believes that Turkey has the ability to overcome the temporary economic difficulties, and hopes the relevant sides can ease their differences via dialogue," it said, referring to Turkey and the United States. The Turkish lira has lost a third of its value against the U.S. dollar this year as worsening relations between the NATO allies Turkey and the United States added to losses driven by concerns over monetary policy and economic conditions. China and Turkey have developed increasingly close ties since putting behind them a dispute over China's treatment of ethnic Uighurs, a Muslim people who speak a Turkic language and live in China's far western region of Xinjiang.